The Certified Cargo Security Professional Resource Guidebook is designed to provide an overview of those elements of motor carrier security – from pick up to delivery – from the human aspect to the technological influences. 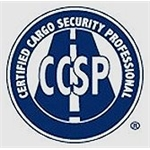 It's the foremost publication used in preparation for the coveted Certified Cargo Security Professional (CCSP) credential. 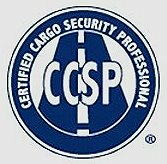 The CCSP Resource Guidebook is the foremost publication used in preparation for the coveted Certified Cargo Security Professional Credential. With 11 individual domain areas covered on the CCSP certification exam, this valuable publication addresses more than 98 percent of the tested areas. Written to assist the Trucking Security Professional, it also provides a wealth of information to other industry-related Transportation Security Professionals!